Here's is the other side of the token. Interesting it has no trade value. We were wondering if one used this token to get into "The Stag" room. Who knows. It meant enough to someone to wear it as a memento. My research hasn't come up with anything about J.Z. 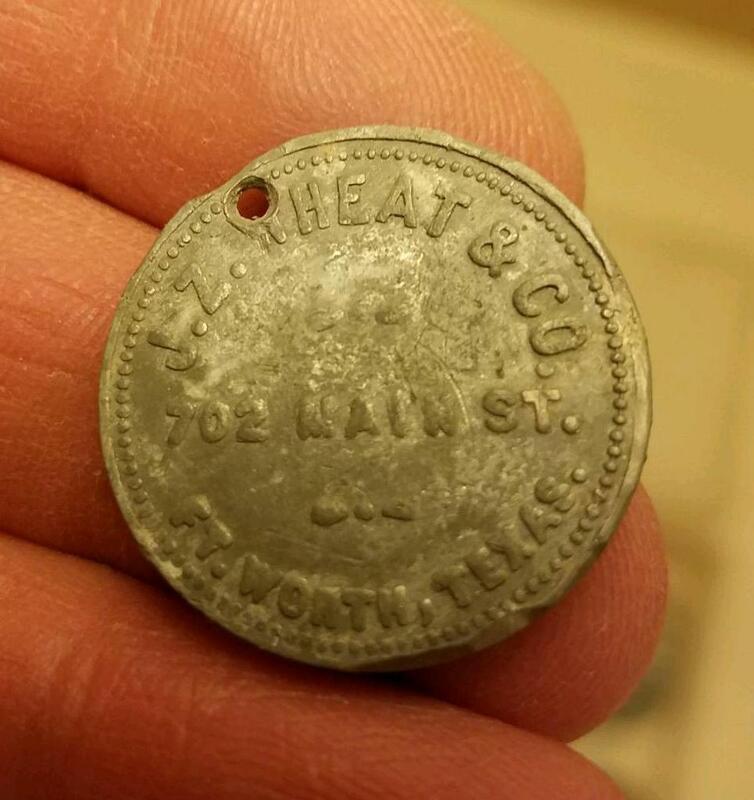 Wheat & Co. Perhaps someone else can find some info? By the way, Monte, I wish you could have made the trip as well. You were definitely missed. Hopefully you can make it next time.